Michigan Digital Learning Conference 2012 Innovations in Student Centered Learning! Innovations in Student Centered Learning! Macomb Intermediate School DistrictJoin us in celebrating innovative teaching and the instructional practices that personalize learning for all students! Explore digital learning opportunities while building your educator toolbox with key elements of blended learning! Find out how to successfully flip your classroom! Network with educators to develop best practice in online instruction! The official EasyBib iPhone and iPad app. Watch an EasyBib user create a 5 source, alphabetized and formatted bibliography in under a minute! Learn how EasyBib can help you cite better and organize your research effectively. An easy introduction to EasyBib! Flipping is not about videos and technology (Brett Wilie) Brett will lead an interactive, open ended discussion about how the Flipped Classroom is not just about the videos: He will share how to best use the RIGHT tool for the right job. He has a passion for not using technology just for the sake of technology. You teach a course where you normally lecture to students during class time. They work on homework and group assignments during their own time. What if there were a way to do the lectures outside of class time so you could use class time to have students work on activities together? Welcome to Flipping the Classroom Simply Speaking. Google provides far more free resources for classrooms than just web searches. John Sowash, a Google Certified teacher and trainer, from Southfield Christian shares 10 ways to use Google Apps in your classroom. When used the right way, iPads are an amazing tools for helping young learners. See how Ashley McDonald from Lakeview Elementary uses iPads with her students to help them improve their writing. This is a longer video at 1 hour It is training on the use of a Smartboard and although it is not the normal 10 min or less video it is a good video. Leading AV integrator AVI-SPL recently equipped Academy at the Farm with SMART's 680i interactive whiteboards and Elmo document cameras. Based in Dade City, Fla., this unique K-8 charter school uses an inclusive approach and serves nearly 400 students a year. Director Michael Rom and Instructional Technology Coordinator Ray Polk discuss their fundraising efforts, training by AVI-SPL and the excitement this technology has brought to not only the students, but the teachers as well! Here is a classroom system that allows you to integrate in all your AVA needs into a simple to configure classroom system. Every time I read one of these proverbs from past cultures, it makes me think about our current society. 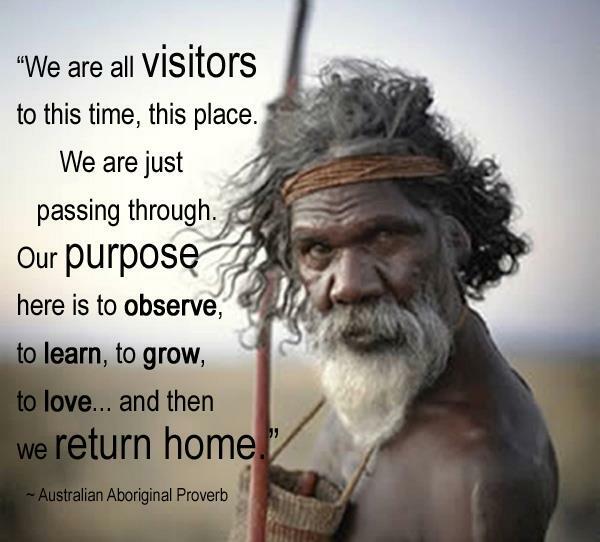 We think we are so smart, but the wisdom of people from over 2500 years ago is really some of the simple truths in life. Embedding a Google Doc into a Google Site. 1) Lack of access to about 1/3 of websites on the web, including most free educational resources online. 2) Lack of storage card and USB slot, which forces work-arounds involving cloud computing... cloud computing poses some major problems in and of itself. 3) High cost = waste of taxpayer money and inexcusable when programs are being cut, class sizes are growing, and budgets have no room for wasteful spending. Googlers are lucky to have among them some great luminaries of computer science, including VP and Chief Internet Evangelist Vint Cerf. If you dont know Vint, you can start by checking out his nearly 380,000 mentions on Google, the pivotal roles hes played in developing the web, the significant honors he's received all over the world, and his nickname, father of the Internet. You can learn more by attending a rare tech talk by Vint, presented by the Greyglers*: Reimagining the Internet: If wed known then what we know now, what would we have done differently? Back in the Internet's design phase, Bob Kahn and I spent six months developing concepts and architecture and a year creating the TCP specification, but we didn't know that the idea would work. We concentrated on solving the problems we envisioned, such as networks that couldn't handle each other's packet lengths. Security against direct attacks and authentication of sources weren't high on the agenda. Now that we have spam, DDOS, viruses, and worms, we look back and think about what we might have done differently had we realized that we were creating a global infrastructure for the 21st century! think of a curriculum as the pathway toward a destination. Take advantage of AirWatch's extensive LDAP/Active Directory integration to associate and manage corporate users and their devices. Here is a way to distribute information to the Board of Education keeping in secure for now and into the future. AirWatch's Mobile Content Management (MCM) solution allows you to secure document distribution and mobile access to corporate documents through a native mobile app. Secure Content Locker™ application enables your employees to securely access corporate resources on-the-go from their Apple iOS and Android tablet devices. BoardBook is a services and this is a cheaper way to accomplish the same thing. How do we change education here is a few tips from business. It will not be easy so we must roll up our sleeves and get to work day in an day out. Not sure why but this video has been removed..... Maybe they didn't want it released yet? I will see if I can find a different one to replace this and it is a game changer in E2020. 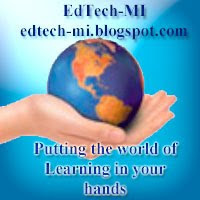 Blog Site on iPads with helpful short videos. Learning Without Frontiers (LWF) is a global platform that facilitates the ongoing dialogue about the future of learning. LWF attracts an engaged and open-minded audience who are forward thinking, curious and receptive to new ideas and perspectives about education, teaching and learning. They are an international audience of thought leaders, policy makers, innovators, entrepreneurs and leading practitioners from across the education, digital media and technology sectors. They are education leaders, intellectuals, social and political theorists, artists, designers, futurists, architects, publishers, broadcasters, technologists, parents, teachers and learners. They come to ask the big questions, discuss the big challenges and seek to answer them by innovation, enterprise and an enduring optimism. Look I'm Learning http://www.lookimlearning.org Re-energize The Dialog Through the film, our partners and sponsors hope to reenergize the federal, state, and local dialogue about the power and potential of appropriately integrating technology designed for learning to improve teaching and learning in formal education settings. By addressing this compelling national storyline inside a small town context, the documentary will do what no newspaper expose, whitepaper, or webinar can do. It will give real educators and their students and parents an opportunity to tell their stories about the benefits and challenges posed by the pervasive use of technology in the classroom and their hopes and concerns about adopting 21st Century teaching and learning strategies in early elementary education. The Barracuda Backup Service 5.0 now features Barracuda LiveBoot™ for VMware, offering unprecedented capabilities in data center continuity and disaster recovery.